Computer-Generated Imagery (CGI) has become a common tool in today’s graphics industries. The term has been used in various tech discussion groups and has become a mainstay in today’s entertainment and design industries. It can also be referred to as 3D Rendering. CGI has been used in a variety of methods. Whether it’s for commercial, production, or entertainment purposes, it has become a tool to push these said industries to do better. However, CGI has always been a bit of a vague subject. Aside from the special effects in our action movies, what exactly is CGI? As mentioned earlier, CGI stands for computer-generated imagery. The technology is quite explanatory. CGI is basically using graphics for art, video games, marketing, and entertainment. These graphics are created with computers. Three-dimensional (3D) outputs are often associated with CGI. However, CGI can also create two-dimensional (2D) effects. The latter is done with using animation software such as Adobe Flash and Toon Boom, among others. Both 2D and 3D CGI are done by using hardware such as graphic tablets or a computer mouse. CGI can be static or dynamic, although it is often used dynamically. This allows it to be used for a wide range of outputs: from architecture models to virtual reality, CGI has become a tool to enhance an industry and push limits. CGI for real estate isn’t a new idea. The real estate market uses a combination of both static and dynamic CGI to contribute in marketing and producing their projects. CGI in this industry is often referred to as models. Although 2D renders are used often, real estate companies prefer using 3D CGI. Real estate CGI has been used in helping model a prototype before it goes into construction and pre-sales. In addition, these outputs are used in promotional material when a property is yet to be created. Dynamic CGI is also used for videos used for online and TV commercials. Recently, virtual reality has become an option for project developers. Dynamic CGI is often incorporated to enhance the experience, and help ‘transport’ the viewer to a different dimension. CG houses are also replacing physical models in displays—making them more accessible and economical as you can view them online and print them out as well! Real estate isn’t the only industry to employ CGI for promotional material. CGI for commercials are becoming a popular option to create eye-catching material. Modern-day commercials range from animated material to mixing both live action and animation. This has been great in marketing items in a more unique fashion, or to further enhance an appearance of the object. CGI animation has become a popular choice in creating a more artistic output. In addition, CGI makes it easier for companies to employ risky scenes in their commercials as it’s a safer and faster to produce. Let’s not forget what CGI is best known for: special effects! Although not all movies employ CGI for their effects, CGI has helped movies enhance their stories or create more realistic fantasy worlds. This technology has paved the way in making certain adaptations of books or comics more realistic and fantastic. Movie franchises like the Marvel Cinematic Universe and Transformers heavily depend on CGI to give more definition to their fight sequences. In fact, a scene in The Amazing Spider-man 2 has Spider-man completely in CGI! CGI is no longer limited to films. TV shows like BBC’s Sherlock and HBO’s Game of Thrones employ the technology for different reasons. Sherlock often uses CGI in a stylistic manner, while Game of Thrones uses it to create locations, effects, and creatures that could not be easily and realistically done on set. Mixing CGI with live action has given us a more quality experience in which we can experience these stories to their full potential. Comparing the number of Avengers adaptations in the ‘70s to that since 2010, the CGI on the latter is one of the factors that have improved the quality of this adaptation. CGI product rendering has become a popular way to test out a product’s design before committing to a physical prototype. This has made it a more economic to propose certain products before getting the get-go. In addition, the limits of the design can be noted almost right away, as you can examine the design in all angles before publishing it. Aside for prototyping reasons, product renders are also favorable in marketing items that are yet to be created. Like real estate, product renders allow you to start taking up pre-orders for your items when you can’t produce a prototype right away. This is great for start-ups who take pre-orders, or for those who plan to create a Kickstarter campaign. Now that you know what CGI is, it’s time to find who can help you get what you need done. First, assess the kind of work that you want to be done. Location may also be an option to think about, but it’s not as necessary as CGI artists and firms can collaborate via online platforms. With that in mind, you can scour the internet for a reputable CGI firm or artist! Online marketplaces like Upwork allow you to post your job listing where you can contact CGI artists and vice versa. Most of these CGI creators have websites, so you can also try searching in web search engines. The results will depend on how specific you are in your search and, sometimes, the location. 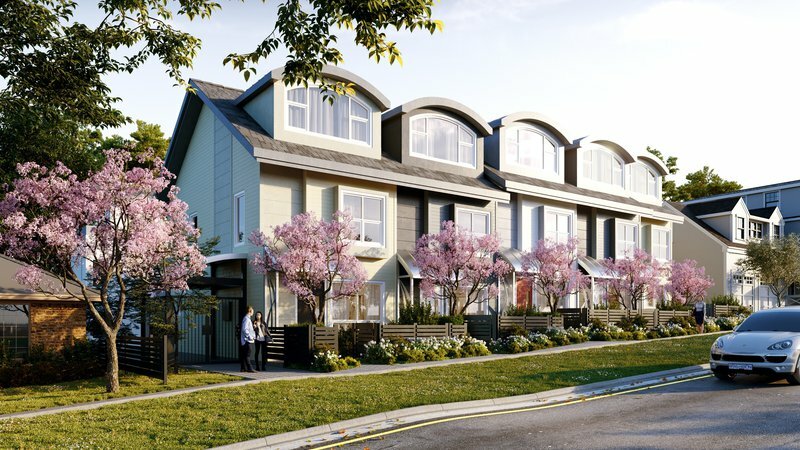 For those interested in developing property in booming real estate markets like Vancouver, Realspace 3D is a reliable firm for creating 3D CGI for any material you need. Whether it’s static or dynamic CGI, to be paired with live action or as a stand-alone in print media, the firm has become a powerhouse as a CGI company in Vancouver. As they know the ins and outs of Vancouver, it would make it their outputs more personal and organic—perfect for creating architectural renders! The world of CGI is an interesting one. There are a number of ways that CGI is yet to be used, which makes its future an interesting one. Who knows where else it can be used? Have you tried a CGI service recently? What are your favorite CGI moments in entertainment, marketing, and other industries? Let us know!